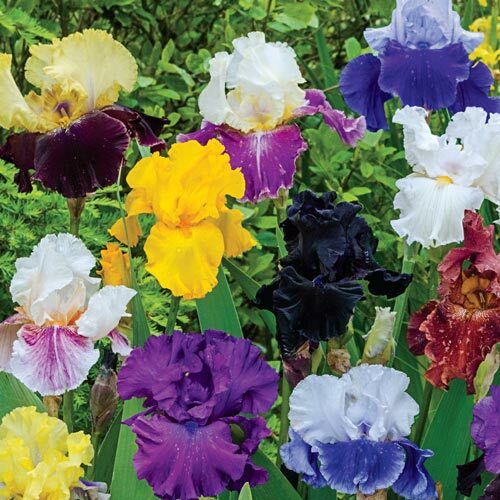 Breeder's Choice German Iris Mix | Michigan Bulb Co.
An Entire Palette of Colors! It's easy to create lush borders of German Iris with our German Iris Mix. All rhizomes in this mix are from hand-selected, improved irises that iris breeders grew for possible crosses. 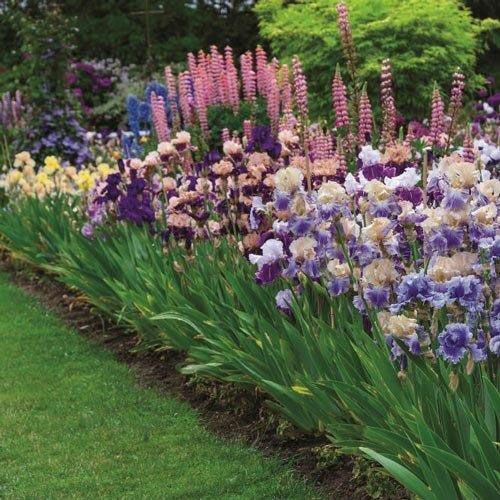 While the plant habit and colors will be unknown, all German Irises in this mix are top quality with desirable traits—and all will offer colorful blooms next spring. Additional InformationIt is important to amend clay soils before planting (add organic matter, sand, etc. ), avoid heavy mulching to allow drainage, and divide plants immediately after flowering if overcrowding occurs. 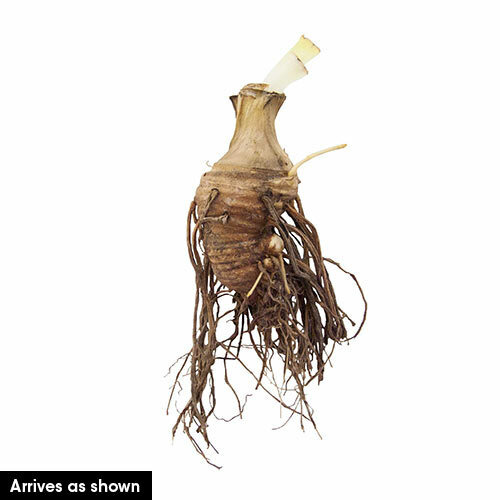 Planting InstructionsPlant rhizome shallowly so bottom half is below ground level. Firm well and water thoroughly. Plant where they will get at least 5 hours of sun per day. Space 12-24'' apart.